In addition to these photos, we also have albums with pictures with different themes. You may select these from the navigation bar above or the list below. We will publish more photos and albums in the future. Robert - USAF Photos from Robert's Air Force career. 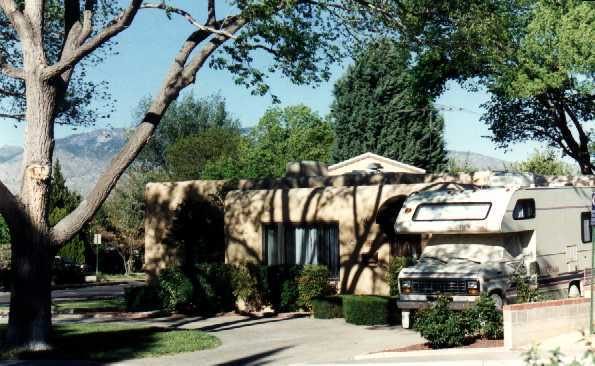 Southwest Photos from our Southwest USA trips. Mountains Photos from the mountains of Colorado, Wyoming, Montana, Idaho, Utah, Nevada, and Alberta. 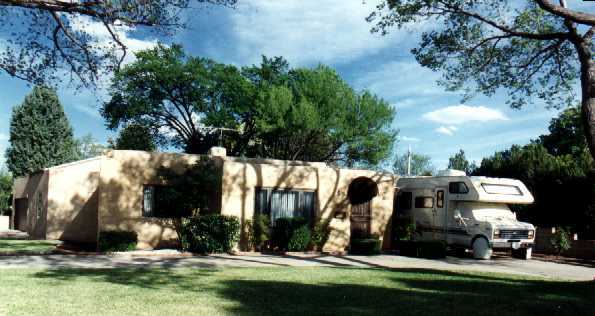 Front yard (with old motor home). 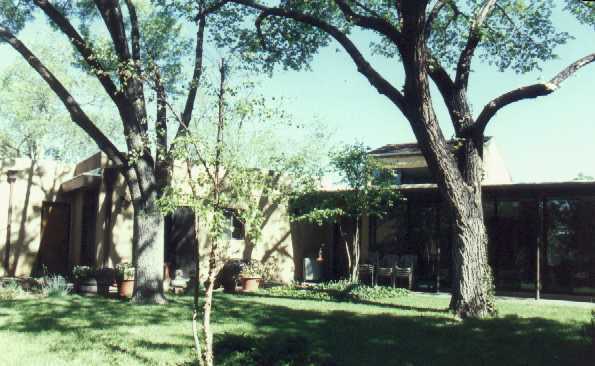 Front yard with Sandia Mountains in backgound. 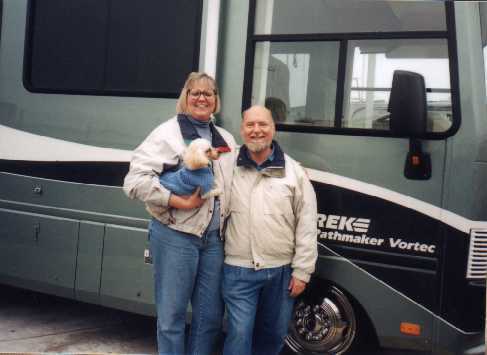 Getting our new Safari Trek motor home at Windish RV, Lakewood, CO, 3 Nov 1998. 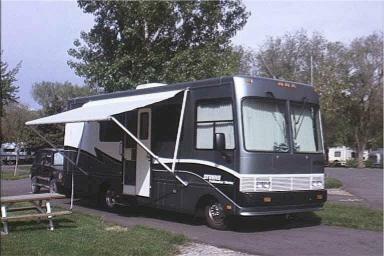 Our campsite at the Camp VIP campground in Salt Lake City, UT, May 1999. 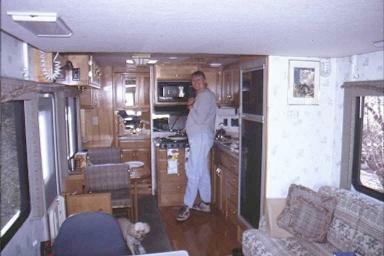 Linda preparing dinner in the galley at Great Basin National Park, NV, May 1999.